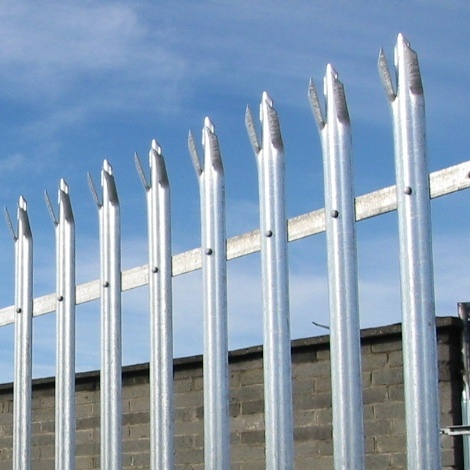 For many years now Palisade fencing has been the mainstay of industrial security fencing, and is widely considered to be the most effective form of industrial security fence. 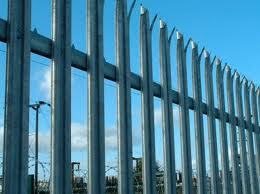 It forms an effective and economic barrier to deter intruders. 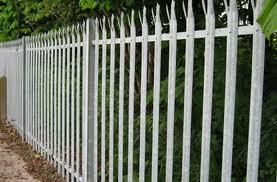 It is constructed from vertical strips of corrugated steel, called PALES, fixed to horizontal rails, of steel angle, by welding (Welded panels), or bolting (Kit-form). When assembled, they are called PANELS. 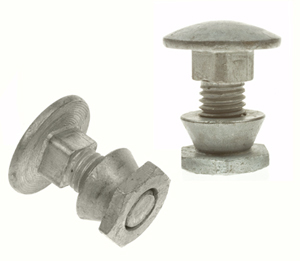 These are fixed to fence posts, which are usually concreted into the ground, or bolted to some existing wall or other hard surface. The PALES usually have triple pointed tops, but can also have round tops. There are two types of PALE, "D" section and "W"section, which describe the shape. "W"section pales are lighter, but wider and are folded ("rolled") into a stronger "W" shape. 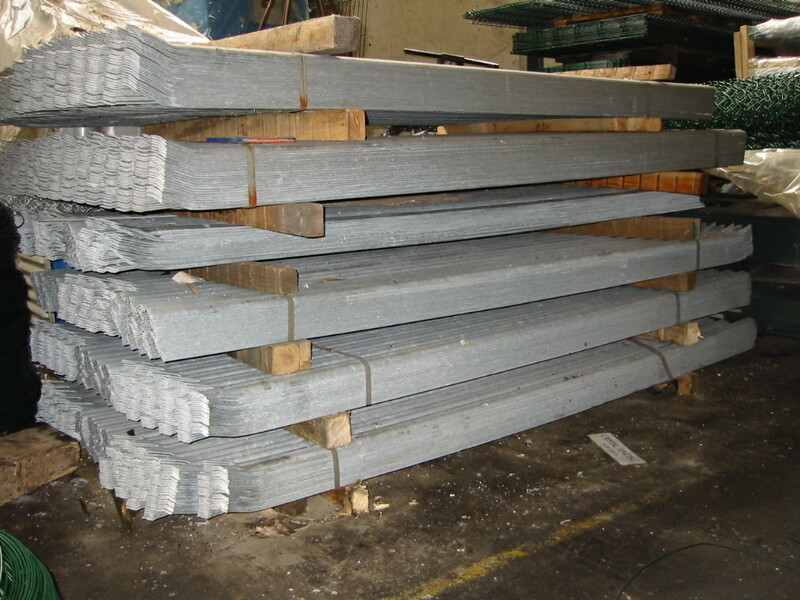 The "D"section pales have to be made from heavier steel to be equal in strength. 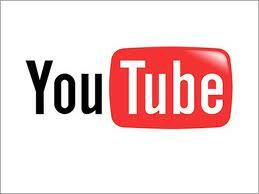 See short videos of Palisade here. 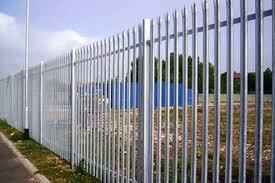 We offer a fast, efficient installation and repair service for Palisade fencing ! 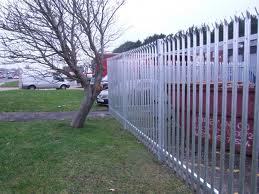 Palisade fencing is available in kit-form, and welded panels. 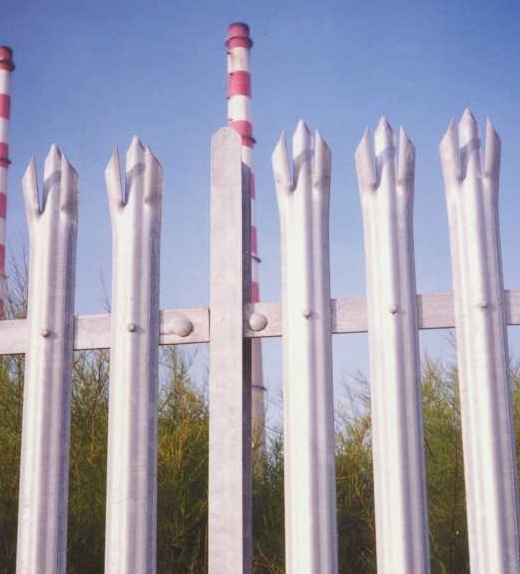 It comprises steel angle horizontal rails, and corrugated triple pointed vertical steel pales, which can be assembled into panels with anti vandal fixings. 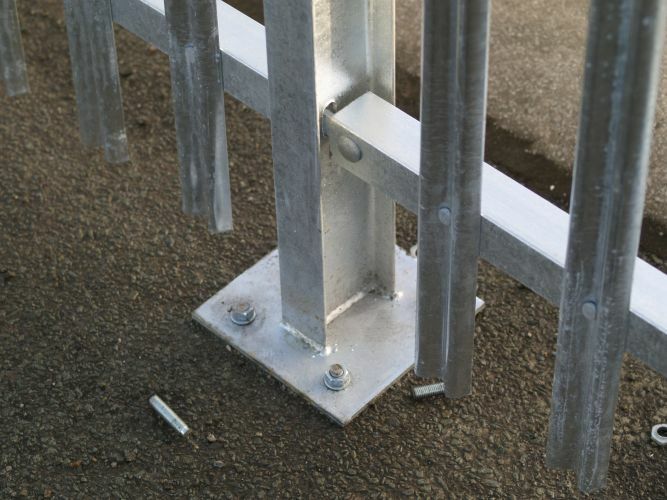 There are 17 Palisade Plaes, and two Rails in every panel, assembled with 34 x M8 bolts and anti vandal nuts. 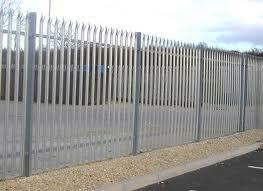 Palisade fencing requries RSJ fence posts of either 102 x44mm or 100 x 55mm, usually set every 2.75m. 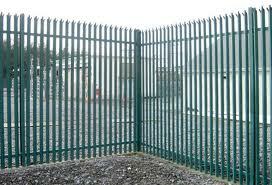 It assembles easily into an effective security fence. 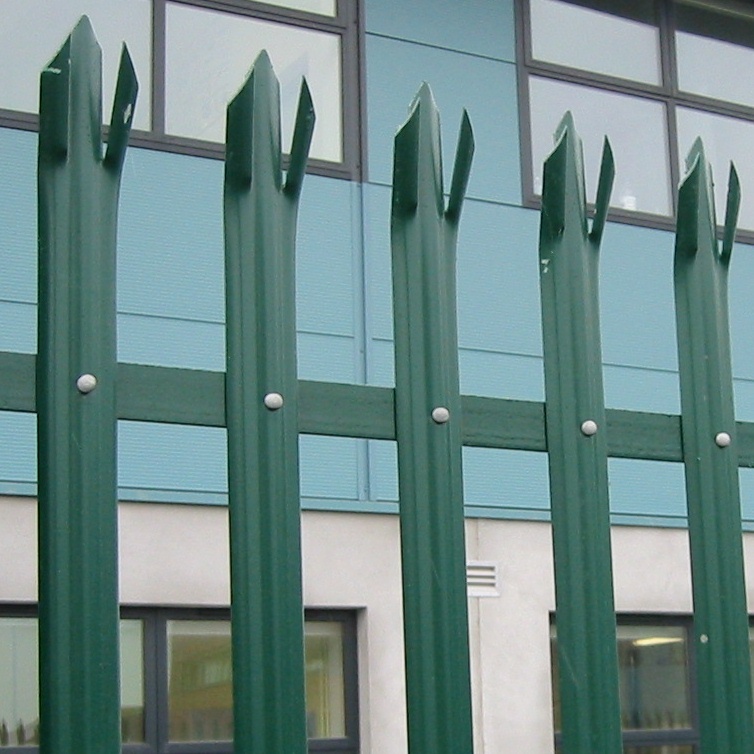 Palisade fence is made from a combination of hot-rolled and cold-formed steel sections leading to the strength and durability of the product. It is often used in a higher specification at Utility installations such as electricity, water and gas, where a higher degree of secuirty is required.